What voters want in ballot language is to be completely transparent as to what a ‘yes’ vote actually means. 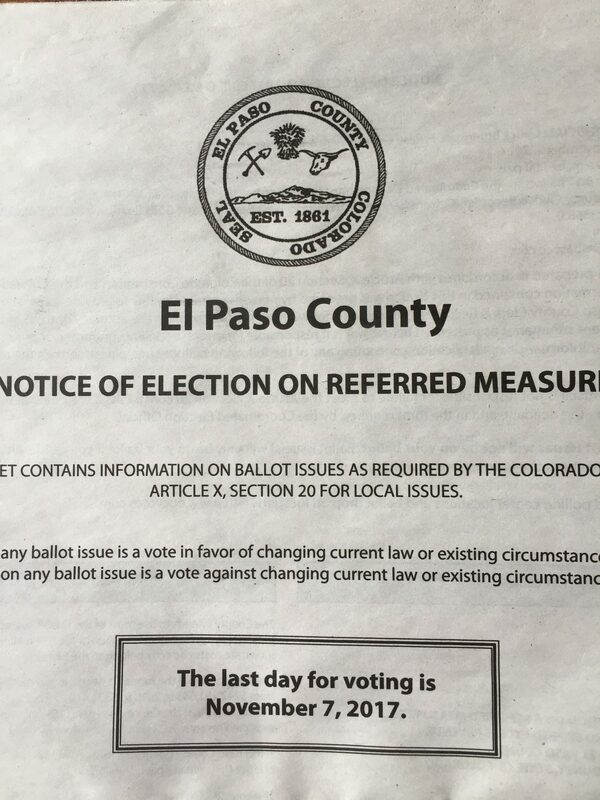 In the case of the El Paso County Commissioners, if you didn’t already know they were limited to two terms, you would think that a ‘yes’ vote meant you were limiting their term further than where it currently was. Voters were so incensed, that the Commissioners were forced to place the question back on the ballot in 2012 with clear wording. If you are just a normal voter, going through your life working and raising your family, do you know how much the Mayor makes? 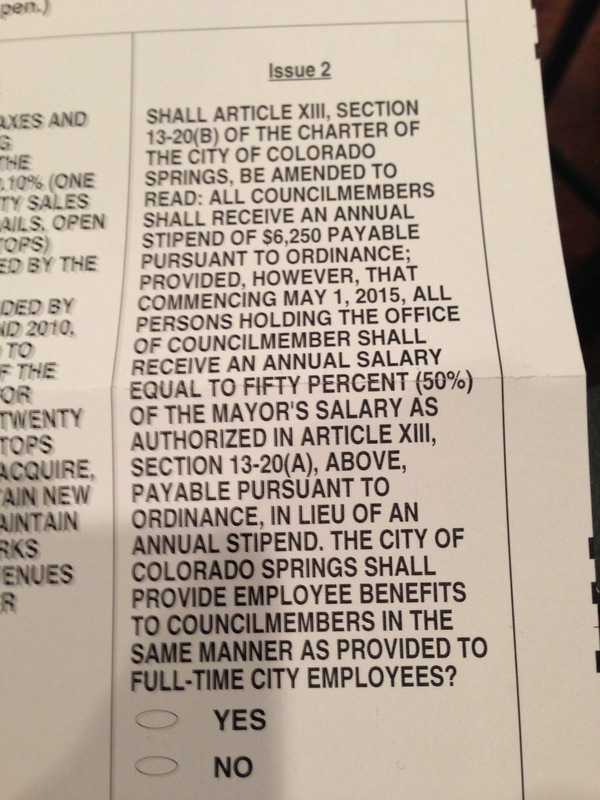 Wouldn’t it have been more transparent to say “raise Councilmember pay from $6,250 to $48,000”? I won’t get into why I believe a raise of their pay is a bad idea. That isn’t the point. The point is this language intends to deceive voters. Colorado Springs residents were outraged about deceptive ballot language in 2010, and I urge them not to be fooled again. Great Article.. Loved it. They will not get my vote. Plain straight Forward language is what is needed. I am sick of this stuff. Thanks for this, Laura. I actually had to do some research to decide to vote “no” on this, and most people won’t do that research! I would bet most voters reading this item will be too impatient to actually think this question through and decipher the intent. 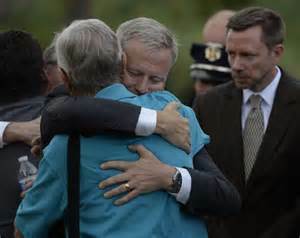 So there will be many “feel good” types that would decide that getting just half the Mayor’s salary is a fair deal. Ballots should be written to the 8th grade reading level, and in short simple sentences. Laura: Just saw you on Channel 13 News. Thank-you for making sense and representing both the conservative and a woman’s point of view; one that coincides with mine. Lately I have begun to feel like I am alone in my views but you have encouraged me to stand strong. Wow, common sense. We could use you in politics where that “virtue” is becoming extinct. I found this information very useful and it is good to learn people other than me conduct research for the purpose of conducting informed decisions. Each council member is a volunteers and were elected to their position; I suspect each were well aware of the compensation prior to becoming a candidate for that position. If a candidate was unsatisfied with the compensation package, why would they consider themselves for the position? The typical employment practice is to seek employment where the person and organization (compensation and benefits) are a good fit for each other. If the compensation was appropriate then, why should the public agree to such an enormous increase in compensation now? In general, city council members serve as a limited part of a city’s government structure while presiding over large and small bureaucracies who may include but are not limited to police officers, firefighters, and other city-government employees charged with serving the public’s interest. Based on my limited knowledge I am not convinced the city should assume the additional debt. I strongly suggest those who share the same concerns as I; in that whether or not the roles and responsibilities of council members warrant a salary of $48K, conduct some research to better understand the roles and responsibilities of council member. Additionally, I would like to know if these positions are full-time or part-time.